As a recovering workaholic and “type A” personality, relaxing or taking it easy never came naturally to me. It was my journey through pregnancy, mothering, and eventually, an illness that led me to the realization that downtime is essential. It was a long road to discovering how to do it, but that journey began with a simple audio. A 10-minute self-hypnosis audio, much like the one I am offering you today. I didn’t know it at the time, but that 10-minute audio changed my life. I discovered how simple and natural hypnosis is. I discovered how easy it is to teach your mind and body to relax. I discovered how good I could feel in just 10 minutes per day! Designed with the beginner in mind, this hypnosis session was created so you can learn to truly relax, in the comfort of your own home. It’s as simple as pressing play and closing your eyes! Simple words and professionally recorded music allow you to easily tap into the power of your subconscious mind. 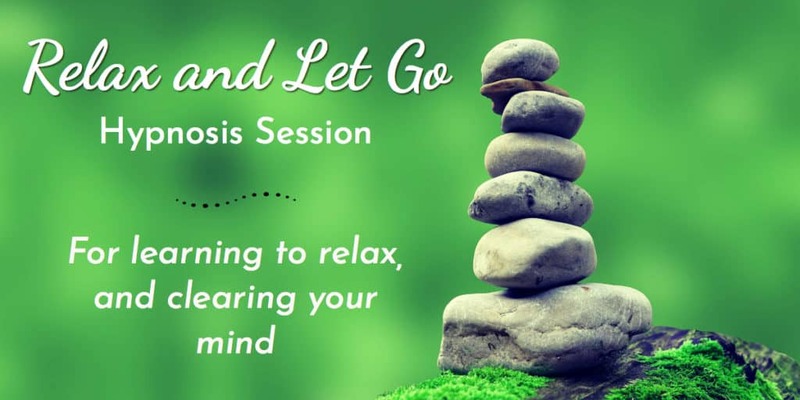 Whatever your goals, the Relax and Let Go hypnosis download is a simple but powerful tool that allows you to take baby-steps towards your own goals. By incorporating self-hypnosis into your daily routine, you will reap many rewards. -And…find out what other hidden benefits you might discover by claiming your copy today!